One type of cancer – which can be found in the lungs, head, neck, oesophagus and cervix – has a bigger appetite for sugar than others. TEXAS – Health officials across the Caribbean are becoming increasingly concerned about the role played by sugar in a host of chronic non-communicable diseases from diabetes to obesity. Now, as new research confirms a long-suspected belief, they may soon add certain forms of cancer to the list. Previous studies have suggested that tumours thrive on sugar, using it as energy to mutate and spread. Now, experts from the University of Texas at Dallas have shown that one type of cancer – which can be found in the lungs, head, neck, oesophagus and cervix – has a bigger appetite for sugar than others. 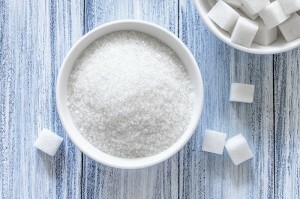 Squamous cell carcinoma (SqCC) was found to be more dependent on sugar to grow, using higher levels of a protein that carries glucose to cells to enable them to multiply. Writing in the journal Nature Communications, lead author Dr Jung-whan Kim said: “It has been suspected that many cancer cells are heavily dependent on sugar as their energy supply. “But it turns out that one specific type – squamous cell carcinoma – is remarkably more dependent. Noting that the findings were worrying because “as a culture, we are very addicted to sugar”, he added: “Excessive sugar consumption is not only a problem that can lead to complications like diabetes, but also, based on our studies and others, the evidence is mounting that some cancers are also highly dependent on sugar. The findings came after researchers looked into the differences between two major subtypes of non-small cell lung cancer: adenocarcinoma (ADC) and SqCC. The study tapped into The Cancer Genome Atlas, which maps information about 33 types of cancer gathered from more than 11,000 patients. It found a protein responsible for transporting glucose into cells was present in significantly higher levels in lung SqCC than in lung ADC. The protein, called glucose transporter 1, or GLUT1, takes up glucose into cells, where the sugar provides a fundamental energy source and fuels cell metabolism. As high levels of GLUT1 were implicated in SqCC’s appetite for sugar, the scientists examined human lung tissue to find evidence of the link. “We looked at this from several different experimental angles, and consistently, GLUT1 was highly active in the squamous subtype of cancer,” Professor Kim said. The study also found GLUT1 levels were much higher in four other types of squamous cell cancer: of the head, neck, oesophagus and cervix.